The second flight of the $230 NLHE Re-Entry event with a $100,000 Guarantee is now complete. The 20 players from each of today's flights will come back on Tuesday to start Day Two. Tomorrow will feature the final two flights. The first starts at 10am and the second at 4pm. The final 20 players from each of those flights will advance to Day Two. We are down to the final 7 players in the $560 NLHE Mega Stack Challenge event. The blinds are being increased to 15,000-30,000 with a 5,000 ante. The average chip stack is just under 986,000. The final nine players are now on a 10-minute break. When play resumes, the blinds will be increased to 12,000-24,000 with a 3,000 ante. The average chip stack is now just under 767,000. We are down to the final table of ten in the $560 NLHE Mega Stack Challenge event. The second flight of the $230 NLHE Re-Entry event is now underway. The first flight just played down to 20 players and is now done for the day. The feature table of the $560 NLHE Mega Stack Challenge is now streaming live!!! There are now 37 players remaining with top 35 spots finishing in the money. We are down to the final 34 players in Flight 1A of the $230 NLHE Re-Entry event. The final 20 players will move on to Day Two on Tuesday. The blinds are currently 400-800 with a 100 ante and the average chip stack is just under 20,000. The blinds in the $560 NLHE Mega Stack Challenge have been increased to 2,000-4,000 with a 400 ante. There are now 49 players remaining and the average chip stack is just under 141,000. The final 60 players in the $560 NLHE Mega Stack Challenge are starting to take their seat. Play is set to begin in just a few moments. 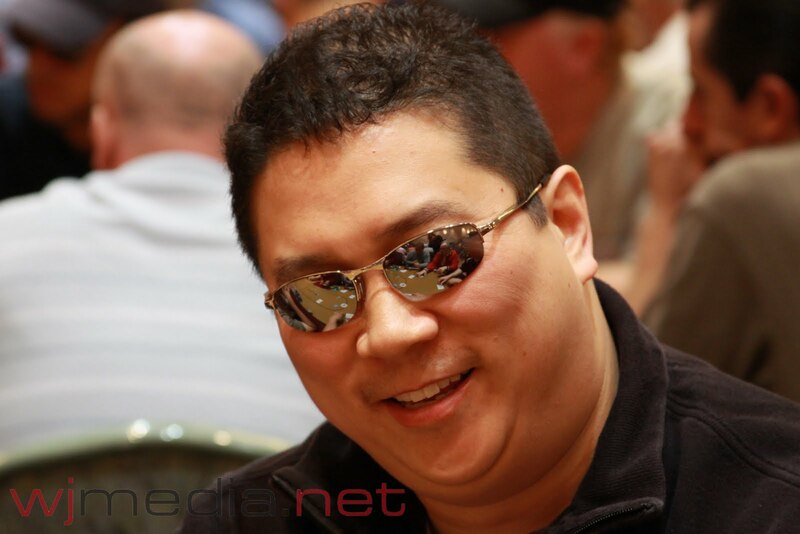 The blinds will be 1,500-3,000 with a 400 ante and the average chip stack is 115,000. $230 Re-Entry $100K Guarantee Underway! The $230 No-Limit Hold 'em Re-Entry event first session is now underway. This event has a $100,000 Guaranteed prizepool and the top 20 finishers from each session will move on to Day Two on Tuesday. There are two flights today, 10am and 4pm, as well as two flights tomorrow, 10am and 4pm. If eliminated from a flight, a player may re-enter another flight in order to try and advance to Day Two. Day One of the $560 NLHE Mega Stack Challenge has come to an end with 60 players remaining. Louis Scianna is the chip leader going into tomorrow's play with 261,000. Foxwoods Poker Room Spokesperson Bernard Lee was just eliminated from Day One of the $560 NLHE Mega Stack Challenge. There are now 70 players left in the field.